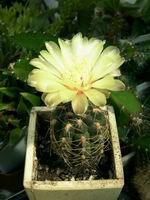 Different types of cactus plants are quite exacting to the container they grows in. The size of the pot must correspond to the rootage of the plant. If roots are long and have a main spur, then you should choose a deep and narrow pot. If the roots are developed better in the topping and they are not very long, the pot must be wide and shallow. Growth peculiarities should be taken into account as well. For example, mammillaria generates a lot of bulbils in one pot, so you should choose a wide and rather shallow pot. 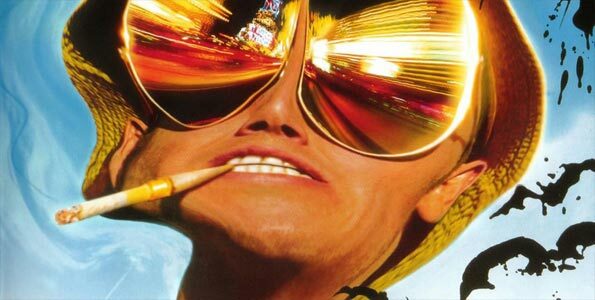 It’s a matter of taste to choose what the pot is made of. I grow my cacti in square plastic pots standing on the trail. The soil in such pots dries up less quickly than in the earthenware. 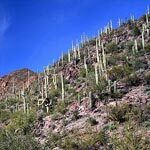 The drain ports and a drainage layer are indispensable conditions for all the sorts of containers where you grow cacti: they can’t bear water stagnation near their roots. Another advantage of plastic pots is that they warm up slightly in the sun, but retain the warmth after sunset for a long time. Besides, thanks to their square form they take half place on the windowpane. 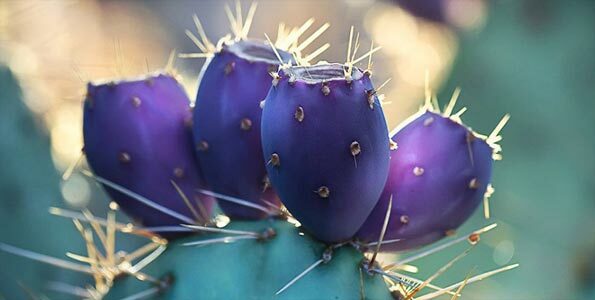 While preparing the soil mixture for your cacti you should keep in mind one rule: soil must be coarse-grained and loose, spongy and absorbent, but it must not contain any organic fertilizer like manure, droppings or sawdust. 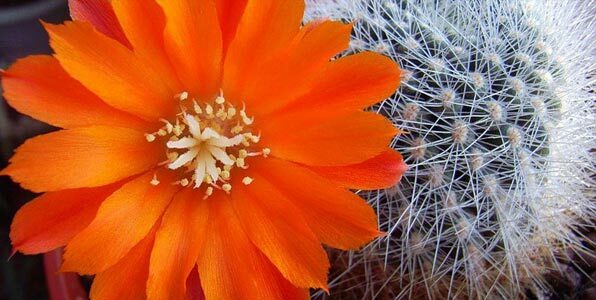 Organic fertilizers are rich in nitrogen, and cactus need in nitrogen is very scanty because of their physical nature. Even a little excess of nitrogen can lead to fatal consequences: the stalk grows rapidly, gets friable and watery. Fuzz and thorns grow weak and many sprouts and bulbils don’t develop to healthy plants. The skin bursts and it leaves ugly scars. 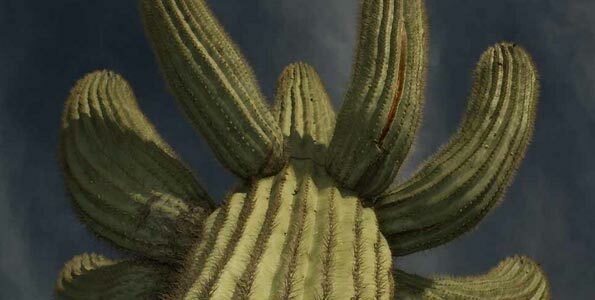 These surfeited cactus plants die easily of any infection. For my collection I prepare the following mixture: leaf mold, clay soil, coarse sand, charcoal and broken brick (2:2:2:1) mixed with one teaspoon of slack lime and superphosphate. Leaf mold is rich in nutrients that are necessary for succulents. Moreover it’s friable and light and absorbs water well. It dries up quickly and prevents water stagnation in the pot. Clay soil (or garden loam) retains water and dissolved nutritive salts perfectly. 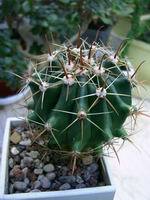 Its tenacity and thickness plays a large role by planting of high and big cacti. Coarse sand makes the soil loose and porous. 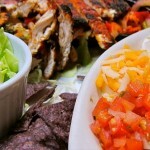 It’s an obligatory component of the soil for all cactus plants. 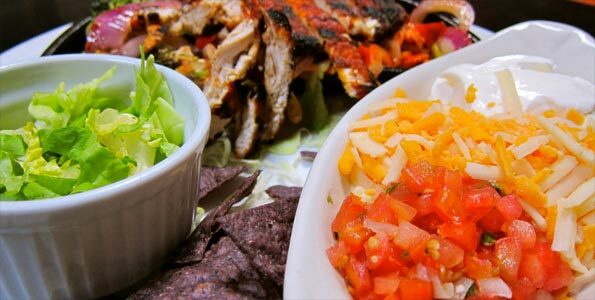 Charcoal has an antiputrefactive action. Broken brick is of double importance. First, it’s pieces make the soil porous. Second, it’s very hygroscopic and absorbs superfluous water. Slack lime is necessary for the right metabolism and normal assimilation of nutrients. 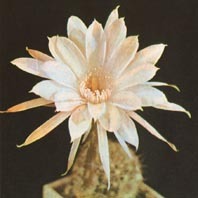 Superphosphate acidifies the soil, which is very useful for cacti. Hope my tips will be of use for you and your prickly cactus friends. I’ll write about how to water different types of cactus next time.